Not only do Rapala’s “Wassup, dock?” billboards bring a smile to anglers driving by, they’re a reminder also that dock fishing is about as good as it gets this time of year. (#wassupdock) Across the Upper Midwest, more fish will be feeding near your dock now, or soon, than most any other time of year. With water temps warming across the Upper Midwest, bass and crappie are heading shallow to spawn and many post-spawn walleyes remain shallow. Northern pike patrol the shallows too, seeking easy meals. All those fish are within a cast from your dock. And the very bait pictured on Rapala’s “Wassup, dock?” billboard is among your best bets to catch ‘em off your dock – an Original Floating® Rapala®. If you pass a Rapala billboard en route to your cabin, cottage or lake home, chances are good that Original Floating Rapalas will be on hand when you get there – no tackle box or bait shop is complete without them. That’s because the lure that launched the Rapala revolution continues to catch fish of all species, no matter whether you’re a seasoned pro or making your first cast. It’s wounded-minnow action continues to be irresistible to fish of all species, including bass, walleye, pike and crappie. When fishing from your dock, cast an Original Floating Rapala off to either side, twitching it on the surface near – or reeling it past – shoreline cover like laydowns, brush, reeds, rocks, lily pads and weed edges. Around dawn and dusk, this tactic can tempt both walleyes and smallmouth bass this time of year. Try it in the afternoon and you’re likely to scare up a big pike. If your lake map shows a significant drop-off to deep water within casting distance from the end of your dock, you can tempt clear-water smallmouth up from the depths by twitching an Original Floating Rapala on the surface. Cast past the drop-off and slowly work the bait back towards the edge, pausing between twitches. With even a light breeze to disrupt the water surface, this tactic can be effective any time of day. Vary the length of your pauses between twitches until you determine what will drive the bass to attack. Docks near deep-water drop-offs offer additional opportunities to catch walleyes with an Original Floating Rapala. To reach medium -depth-dwelling fish, weight your line with a split shot about 12 inches ahead of your bait’s line-tie. To reach even deeper, bottom-walk an Original Floater with a three-way swivel and sinker. Built from balsa wood for inimitable action, Original Floating Rapalas are hand-tuned and tank-tested to ensure their world-renowned action, straight from the box. They feature premium black-nickel VMC® treble hooks. For the best results, fish an Original Floating Rapala on a 6-foot, 10-inch to 7-foot, 2-inch medium to medium-light action spinning rod. 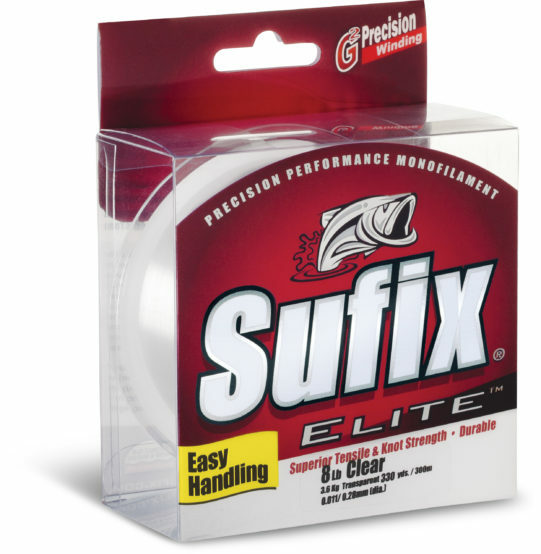 If you’ll be fishing mostly shallow, on the surface, spool up with 4 to 10lb Sufix® Elite™, depending on if you are targeting Panfish with the Floater size 3, or casting for shallow Bass or Pike then size up to 10lb Sufix Elite. When Rapala first came out we had a small bait and tackle shop. When the customers started coming in and asking for the lures, we couldn’t keep them in stock. We finally got with a tackle salesman that we knew for a long time, we were ably to get a supply of them but had to keep them hidden and the customers had to ask for them Didn’t think the craze would ever slow down. They have always been in my box caught alot of eaters on them great lure used them around the world works anywhere. I’ve caught many species with this lure. I had a DT6 in a crawfish color that split half into all that was left on my line was the top half of the lure with the bill still attach to it the lower half with the hooks were gone. Has that every happen before? Troy, thanks for post. We suggest contacting Rapala Consumer Service in regards to this concern. This is one of my favorite go to baits around docks. I have two of the original floaters on separate rods with different pound test line. (usually 12 and 14 pound line tied with a slightly larger loop knot) I bend each line tie in opposite directions to cause one original floater to run right, and the other original floater to run left. While I’m fishing along the left side of the dock, I let the right running original floater bang sharply into each support post and then pause it slightly, or up to three minutes with light twitches. I present the left running original floater the same way along the right side of the dock. I have caught bass up to eleven pounds using this technique!! The reason I believe this works so strongly is because the original floaters are very well balanced BALSA WOOD BAITS right out of the package. The balsa wood lets me bang the original floater into the SAME dock support post TWO to sometimes FOUR times before I have to reel it into the next post. At other times I catch a lot of bass by slowly ripping my original floater along the docks as it explodes off each post. I have put quite a bit of cash in my pocket from the tournaments where I have used this technique. The Rapala Original Floating Minnow is still one of the best “go to” lures for any tournament condition where docks and strong weedline edges exist. Oh, by the way, I am a ONE armed amputee who uses his prosthetic to fish with. I even caught my 11.7lb. bass one armed using my rapala original floating minnow on my home “Chickamauga Lake” in Chattanooga, Tennessee. So guys and gals try this technique and hold on to your rod!! I have been fishing the No.9 floating silver & black Rapala since they were introduced and have caught more largemouth bass on this lure than any other bass lure! I don’t know exactly how many i have however, iam sure it is more than 50. In my opinion there is not a better largemouth bass lure on the market! I also have numerous other Rapala lures and Rapala accessories. The old adage, [ if it isn’t broke, don’t fix it ] certainly applies to the No. 9 silver & black floating Rapala!